I am going to try to have objective expert opinions on this one. Because I am an expert on jeans, thanks to having been born in America, Land of Jeans. And I have a very very specific requirement before I consider a man wearing jeans “correctly”. 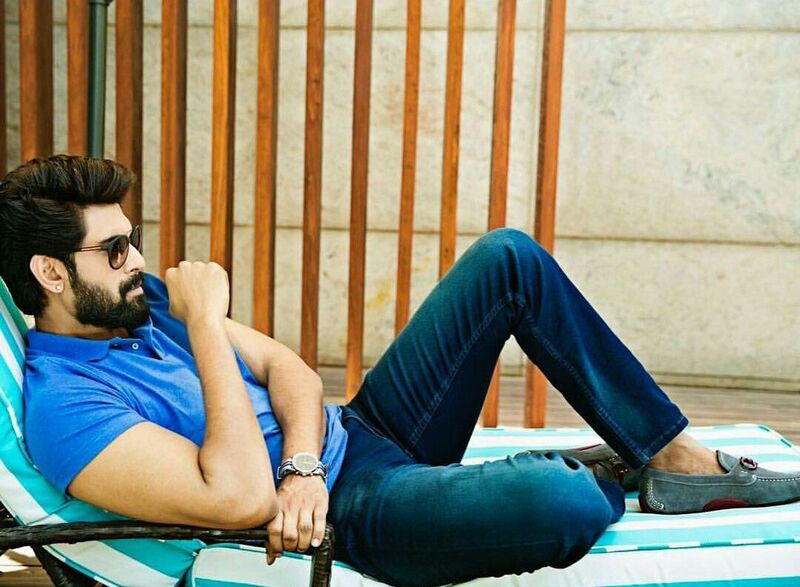 When looking at a man in jeans, I look for 3 things: Fit, Attitude, and Style. First, Fit. Ideally, to my mind, jeans should fit tightly at the hips and thighs, and then slightly looser below the knee. They are stretch fabric, they are supposed to stretch, not just be loose and baggy everywhere. VERY IMPORTANT: you should not need a belt with your jeans! They should stay on your body thanks to the tightness around the thigh/hip area, and not be gathered, or even tight, at the waist itself. Moving on, Attitude! Jeans are supposed to be working clothes. You need to wear them like you are ready to go to work. Hard manly work. Not intellectual thoughtful work. And you are not some little boy just going out there to have fun, but someone who has done stuff and knows how to do stuff and so on and so on. 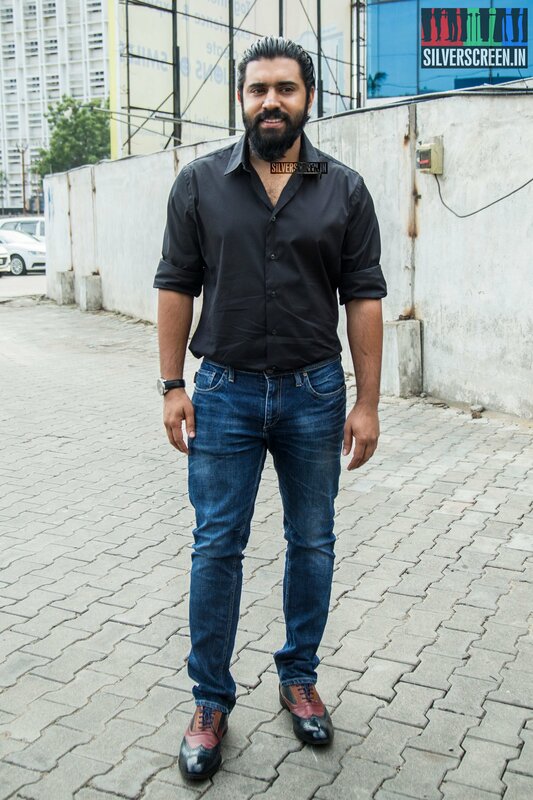 And you are too much of a Man to really think about the clothes you are wearing, so you wear your jeans casually, let them do the work for you, not you for them. And finally, Style! Jeans are supposed to be work clothes. Too much embroidery, artificial wear spots, artificial fading, belts (as previously mentioned), and it is ruined. That whole “I’m here to work” attitude goes away. So, let’s rate some men!!!! I’ll start with a nice basic image of Shahrukh for me to begin my rankings. Much much too loose around the hips and thighs. Not as bad as it could be, they aren’t exactly baggy, but still not good. Fit: 5 out of 10. 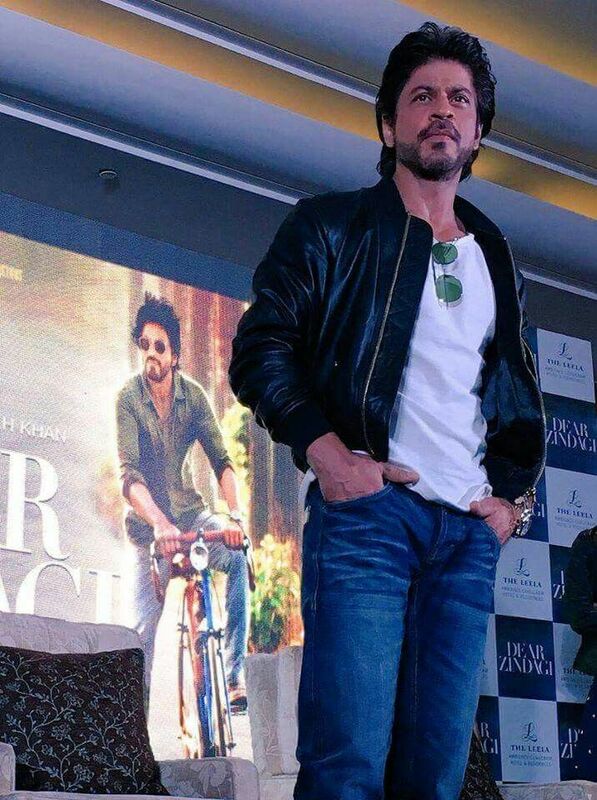 Attitude, though, Shahrukh has about the perfect jeans attitude. Attitude: 10 out of 10. And finally style, there are those slight fake fade lines, which makes it not perfect, but the overall cut of them plus the rest of the look is just perfect. Style: 8 out of 10. 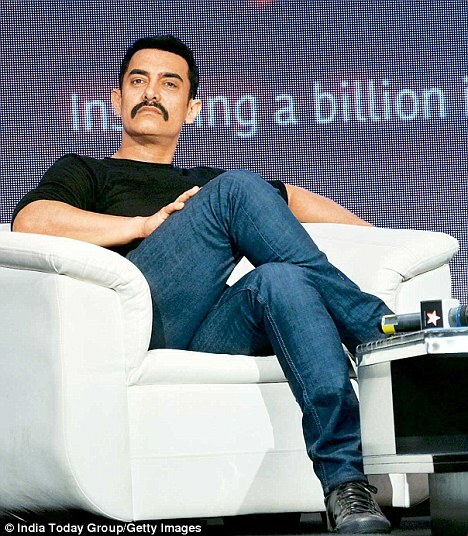 Fit is better here, partly because his thighs are flexed since he is sitting. 7 out of 10. Attitude, still 10 out of 10. Style, still 8 out of 10. Moving on! 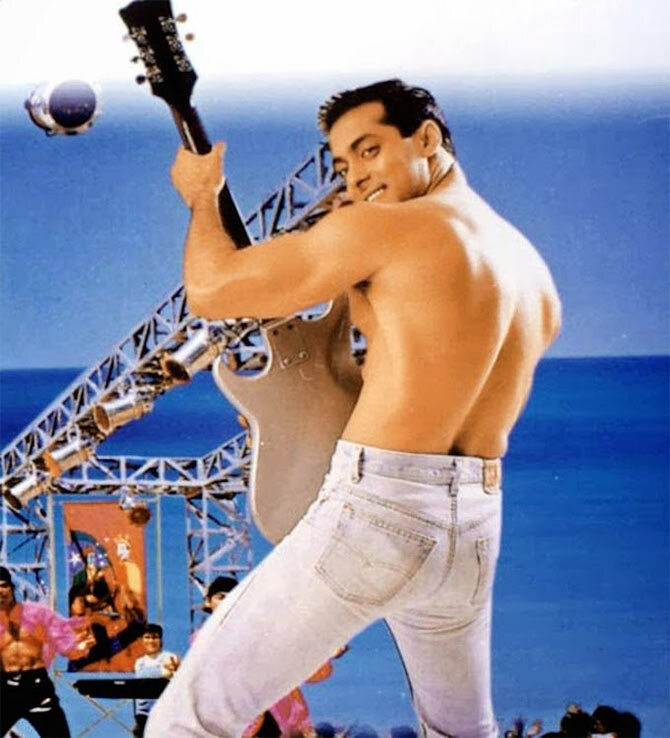 Strike me down if you must, but Salman actually has a better jeans body than Shahrukh. He fills them out more, and he is willing to wear them tighter. Fit is consistently good with him. The rest of it, however, not so good. The problem is, he’s just too nice! A jeans attitude doesn’t fit well with a “I just want to play with babies and puppies” attitude. 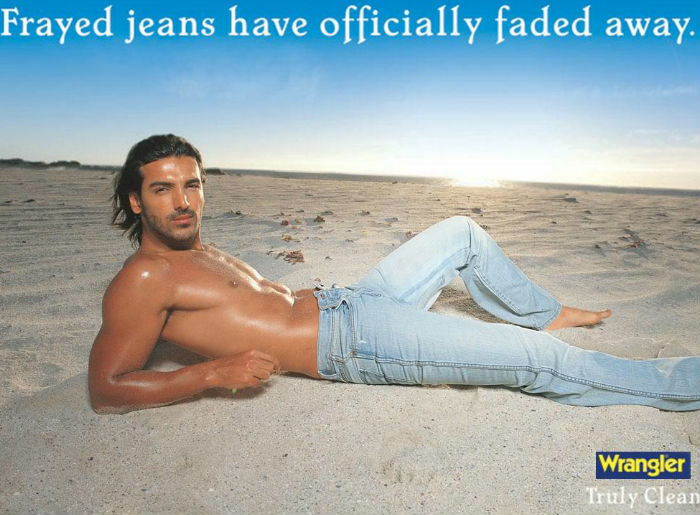 Did you know John Abraham did an ad series for wrangler back in the day? It is quite quite good. I had a hard time limiting my selection. I skipped the one where he is masturbating. Although, I am still going to have to grade him a bit harshly in some aspects. I think he problem may be that, generally speaking, models don’t know how to wear jeans. Because you need an attitude of “clothes are just clothes, my job is more important”. But if your job IS clothes, that doesn’t really work. See, look how Siddharth struggles too! 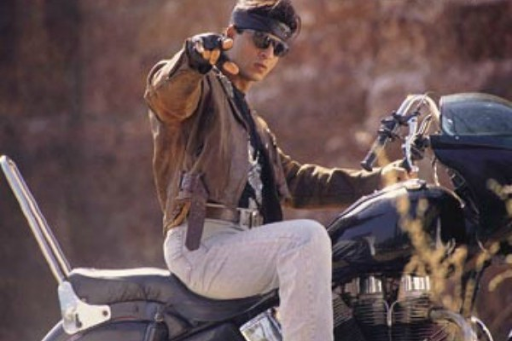 Akshay started as a model, but then moved on to Action Star, which is maybe why he has such a good jeans attitude. After that peak attitude from the north, shall we head down south? I had low expectations from our southerners, they have such great Lungi swag, I couldn’t imagine them being able to pull off jeans as well. Shows how little I knew! 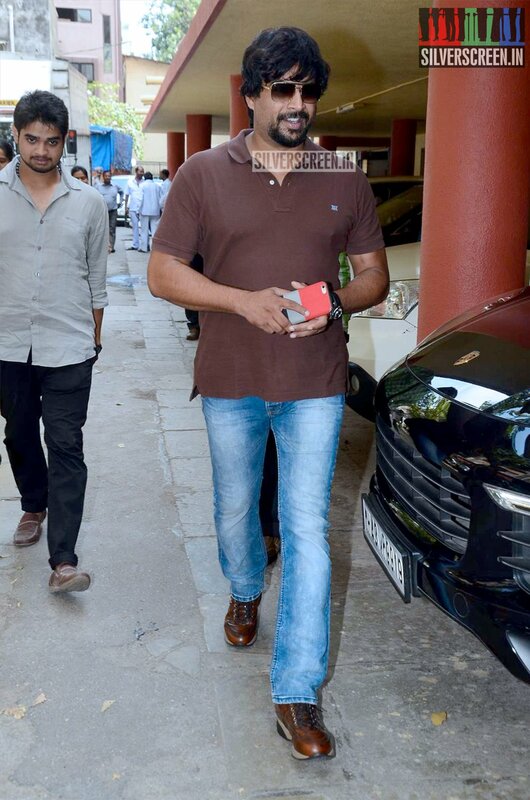 Starting with the swaggiest, Prithviraj. Moving on, let’s check out some more long-legged southern types! Rana-time. Okay, I know you will be upset if I don’t include Prabhas. But we also know the man has NO STYLE, right? So don’t blame me for giving him poor points, there are just no good photos out there. Fit: 9 out of 10 (he looks so nice and lean!) Attitude: 9 out of 10 (I sense a slight awareness of how cool he looks, which is uncool) Style: NO! NO NO NO NO NO! 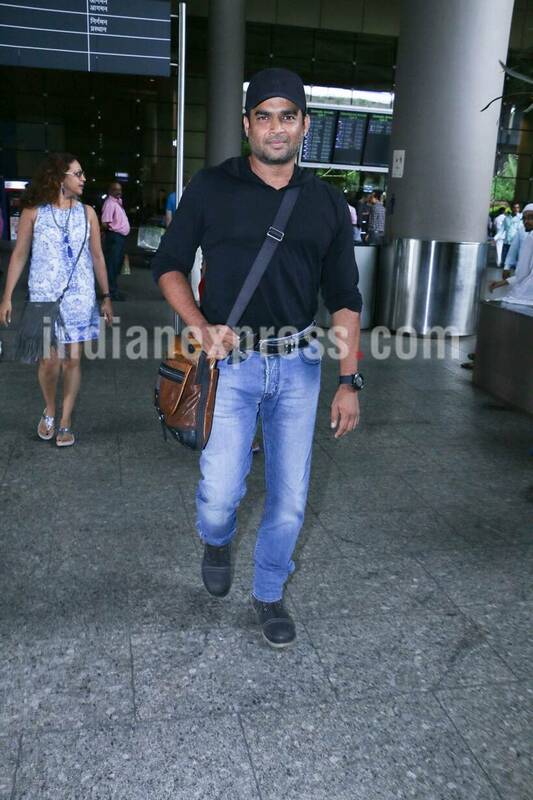 I really did not expect this, but even our thoughtful sensitive Malayalam types wear the heck out of their jeans! I guess it’s because they still have some meat on their bones. 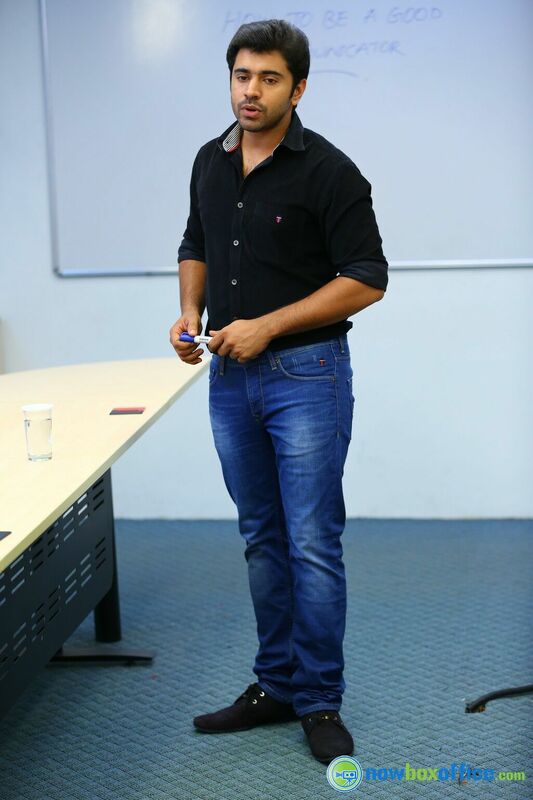 Check out Dulquer! Now, you may need to take a moment to prepare yourself for this next image. 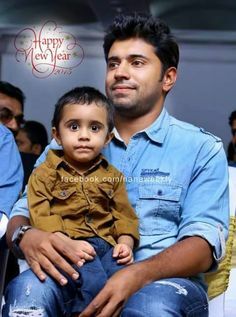 There is Nivin. There is beard. There is tight jeans. There is open collar. There is manliness. And then there are really ugly shoes, and a not great hair look. But in between the two, potentially heartstopping! And back north we go, to end! First with Ranveer, who is all about the attitude. Here’s a surprise! 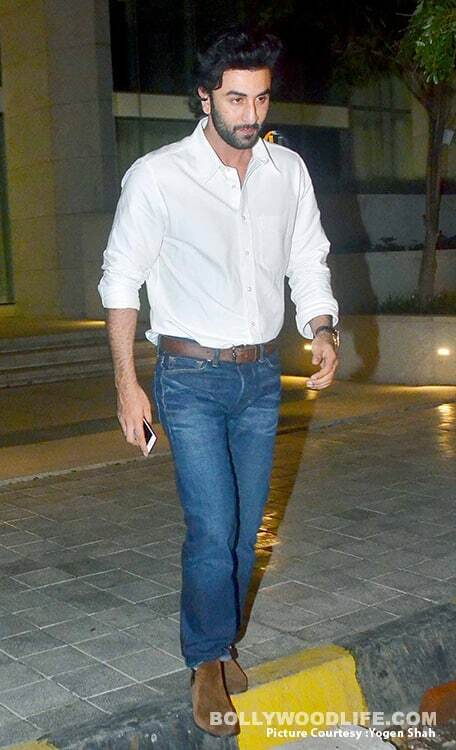 I actually like Ranbir in jeans. I think this is the first photo of seen of Ranbir where I feel like he is an actual man, instead of a little boy. Or in other words, dating him wouldn’t be a lifetime of unpaid babysitting. Okay, the jeans aren’t always good for him. Fit: 7 out of 10 (at least, what fit is left after the pants were destroyed) Attitude: 10 out of 10 (he’s still got a good jeans attitude, very “I don’t care”) Style: AAAAAAAAAARGH!!!!! Now, Hrithik! Who has a better jean attitude than I expected. Fit: -2 out of 10 (All bunched up and baggy like he’s wearing a diaper) Attitude: 9 out of 10 (a bit too aware of how he is standing, but not looking at the camera, that’s good) Style: Burn them BURN THEM!!!!! 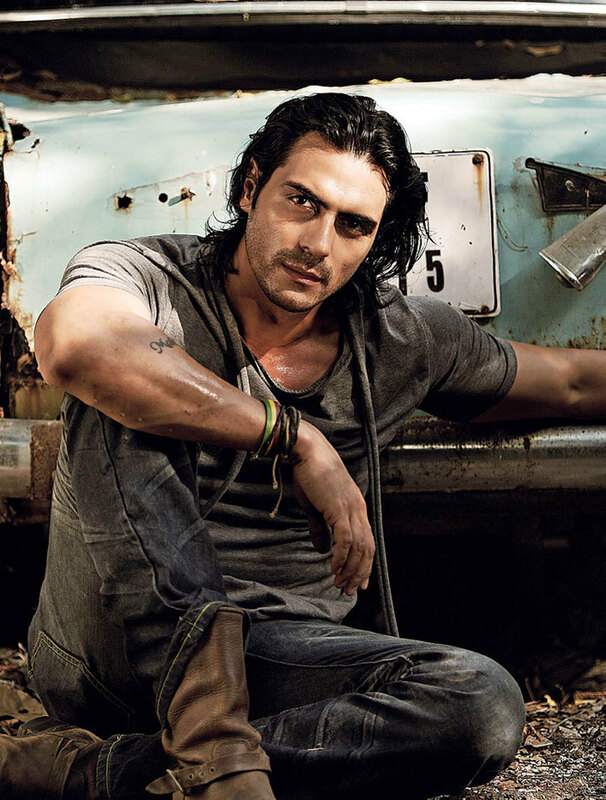 Really hard to find good photos of Arjun Rampal in jeans! I think he just isn’t a jeans guy. He is an expensive tailored suit pants kind of guy. Doesn’t like to work with his hands or body, would rather work with his mind and keep his body for beauty and luxury. Gotta give it to the Big B and Garam-Dharam in Sholay! You can believe them as two guys who live their lives in these jeans, motorcycle riding or shooting bad guys, these pants have become a part of them, and any wear is the result of hard manual labor, not some fashion designer adding style. Okay, now for you: Do you agree or disagree with my basic criteria? Do you have your own rankings and do they differ from mine? Did I miss a pivotal image that should have been included for one of the entries? Who is the real Best in Show? And final question I am just curious about, have you ever ironed your jeans? I never have, but I understand other people do it and I don’t know who these people are or why they would do such a thing. The 70s pic is Best in Show because Jeans are the quintessential ’70s attire, and the ’70s are the quintessential jeans decade – for men and women, and throughout the planet. Even when you look at a sepia-faded polaroid photo from the 70s, it doesn’t look right unless everyone is in bell bottom jeans or frayed jeans shorts. Now I want to see if I can find an actress photo from the 70s in jeans, because you are right, everyone wore them back then.